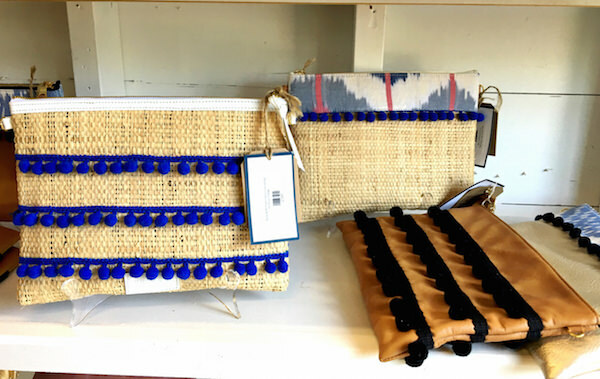 This week’s Friday Five Favorite Finds begins downtown at The White Elephant, the sister property of the Wauwinet Inn, which I recommended earlier in the season. 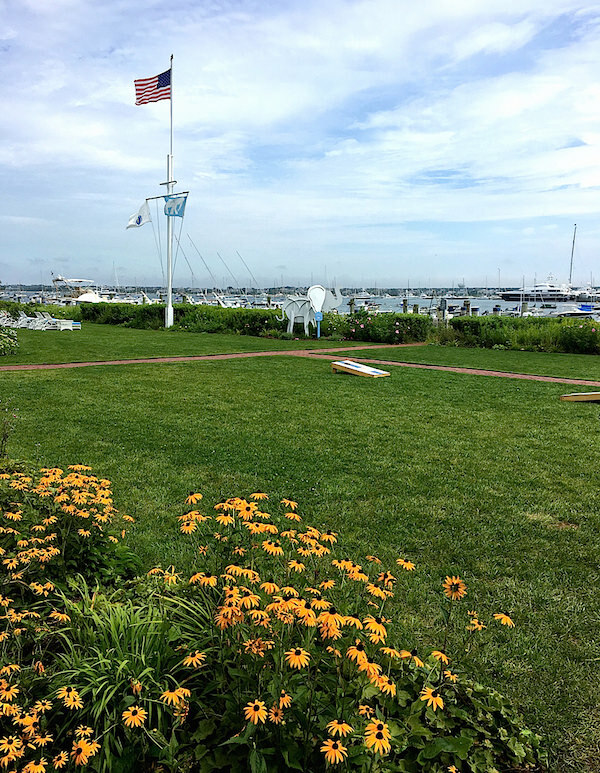 Located along the harbor, where we started our cruise with the Audrey Sterk-decorated Hinckley several weeks ago, it has the best of both worlds – convenient location and waterfront views with harbor access. 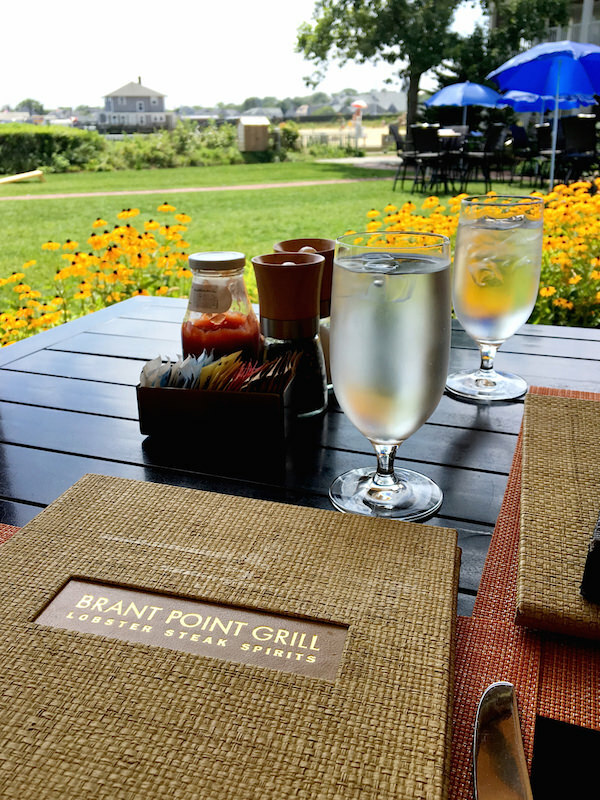 The resort’s restaurant, The Brant Point Grill, is a civilized al fresco lunch spot, perfect to meet a friend, take a break from the downtown melee and enjoy the breezy harbor and garden views. 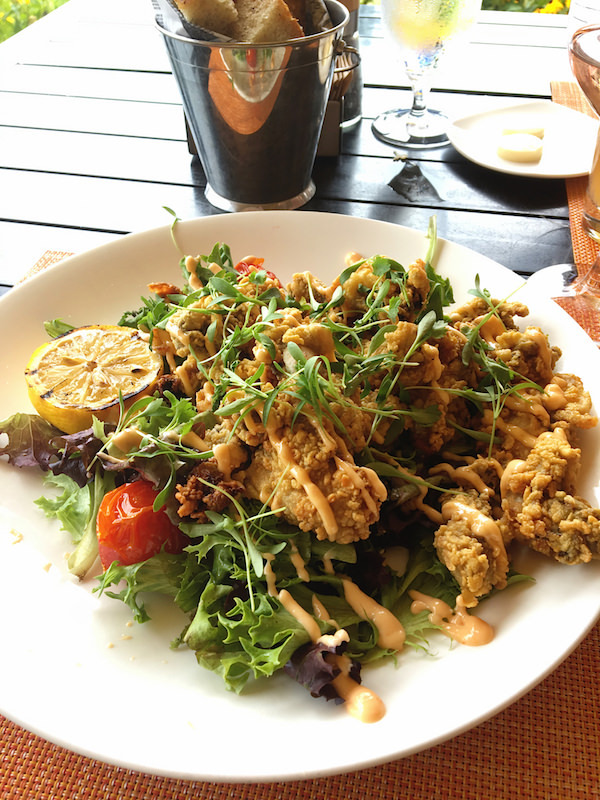 With plenty of shade, attentive service and appealing menu, it provided a delicious mid-week treat with fresh fried oysters and a glass of chilled rosé! 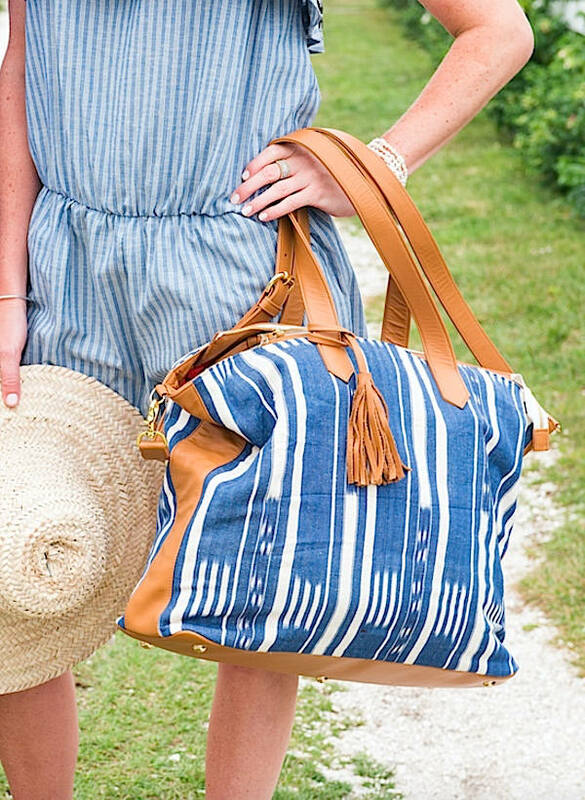 A perfect way to beat the heat and crowds! 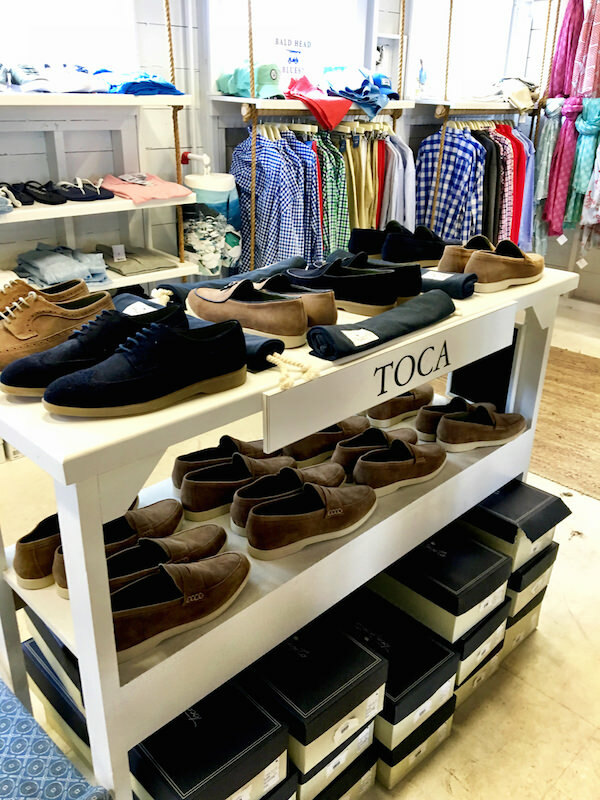 You never know what new surprises you’re going to find in the shops downtown. 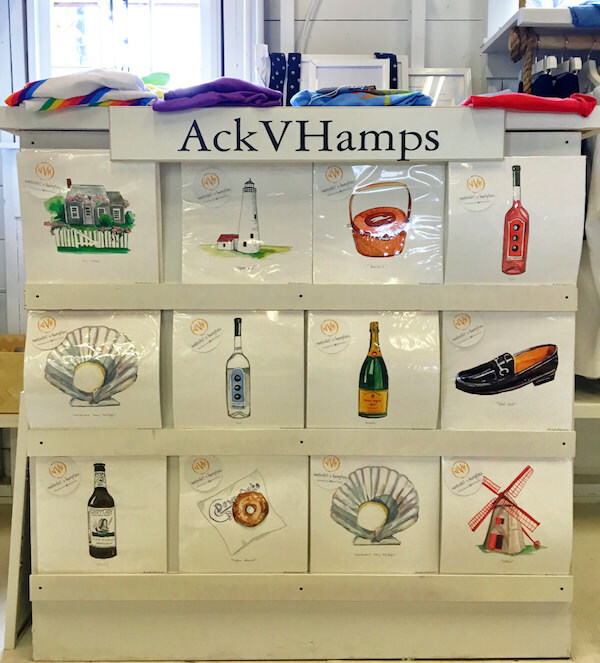 In the back of the Seaman Schepps store on Main Street is a small art installation. 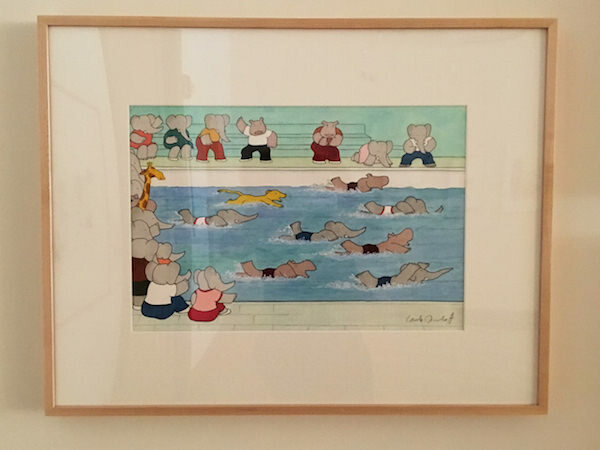 In conjunction with Mary Ryan Gallery in NYC, they are exhibiting a selection of works by two acclaimed artists. Laurent de Brunhoff needs no introduction. 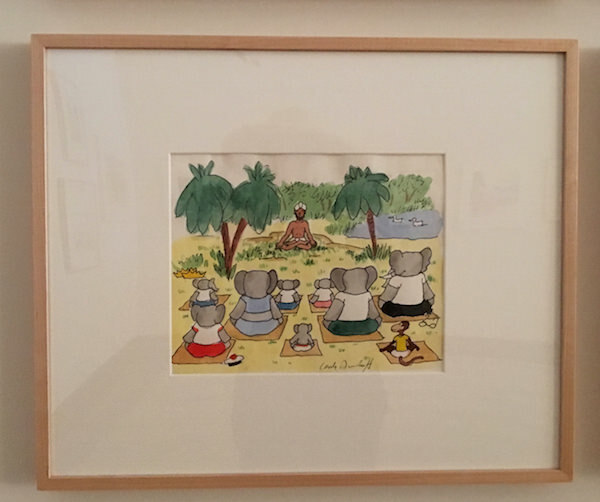 The talented illustrator of Babar fame is represented by original watercolor illustrations previously published in Babar books and eight original silkscreen limited edition prints, all pencil signed and numbered. 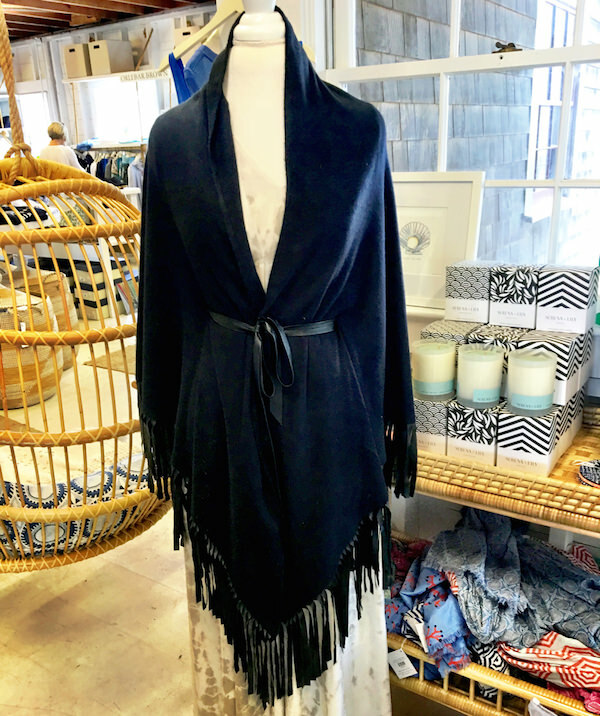 They are all irresistibly charming, whether set in Celesteville, seaside on Paradise Island or in the wilderness. 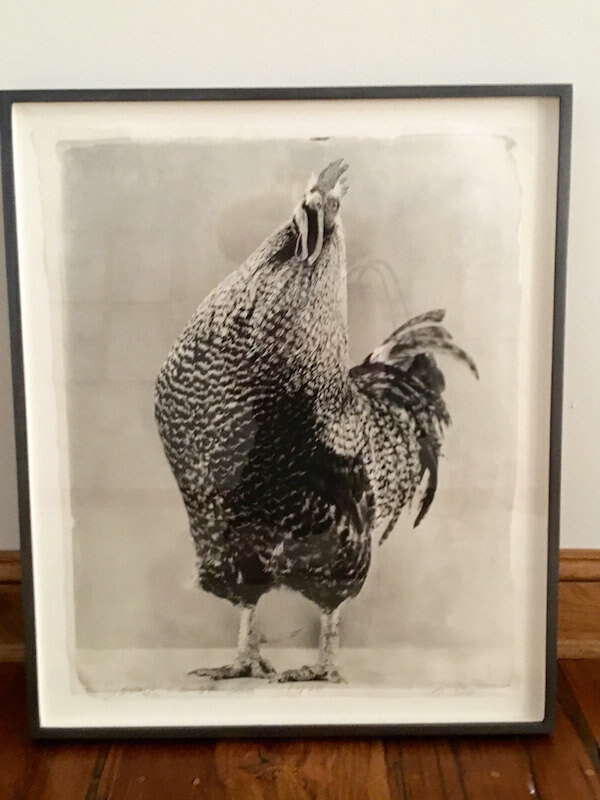 In contrast, Jean Paglioso: Poultry & Raptors is a photography show of a different anthropomorphic variety. While de Brunhoff gave human qualities to his family of elephants by giving them lives in traditional settings, Pagioso focusses on the birds themselves, with minimal backgrounds emphasizing their feathers, form and features. 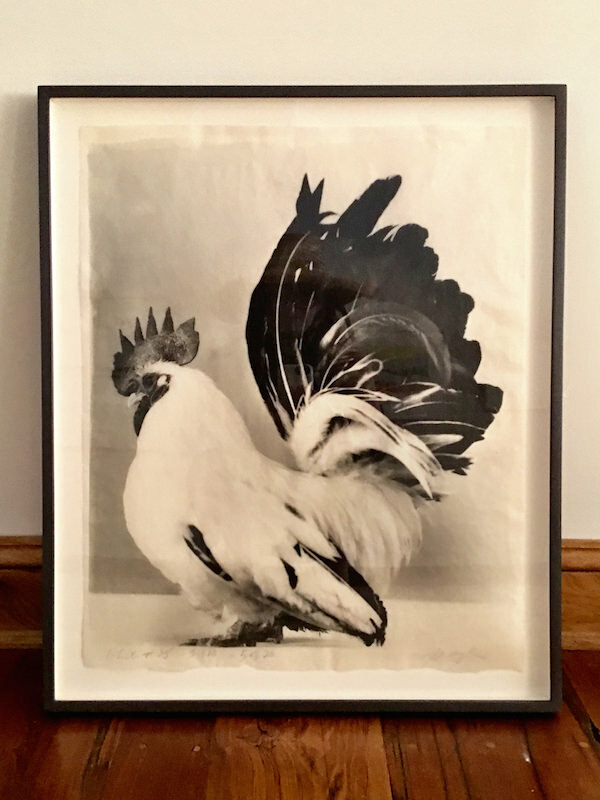 Exquisitely printed on handmade Thai mulberry paper with a silver gelatin emulsion, the portraits have an air of elegance laced with whimsy. 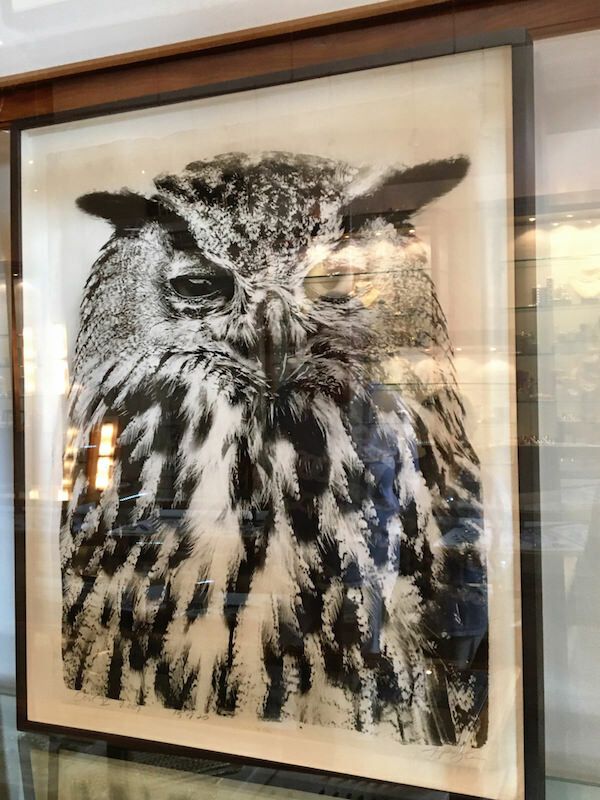 The owls are particularly imposing and bear the same dignified presence as many of her fashion and celebrity portraits. 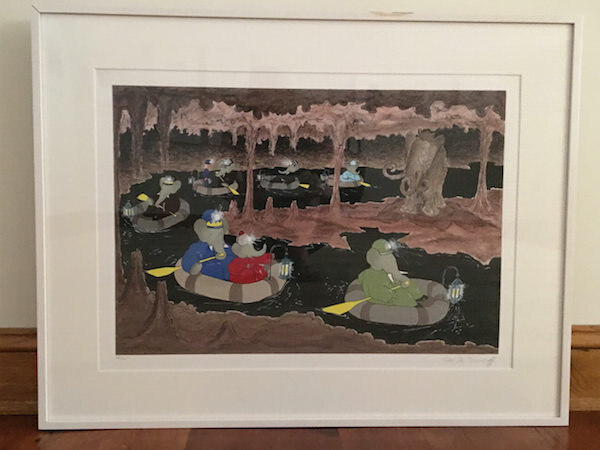 Sorry about the glare. 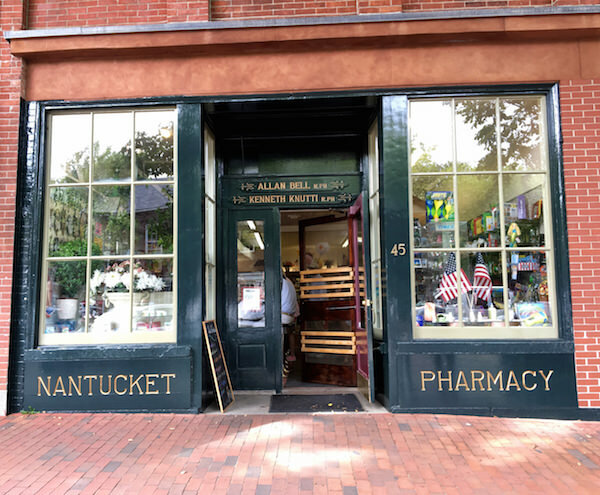 If you find yourself downtown, hungry for lunch but no time for a proper restaurant meal, there is always the counter at the Nantucket Pharmacy. 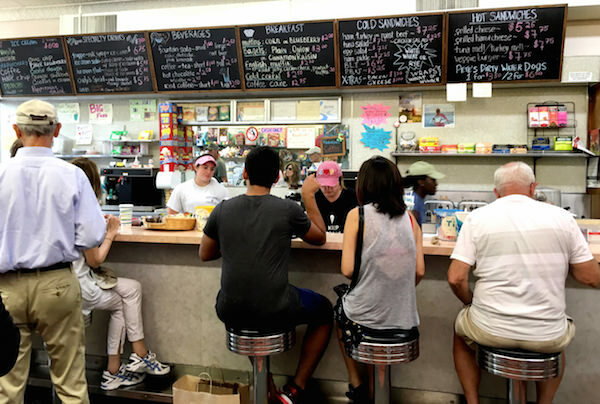 A timeless tradition since 1929, the old-school meets modern cool counter culture features an old fashioned menu, soda fountain and ungentrified decor. Customers range from geriatric regulars to first time eating out diners. But be warned, a stool at lunchtime is a prized commodity – so be prepared for the possibility of a wait. 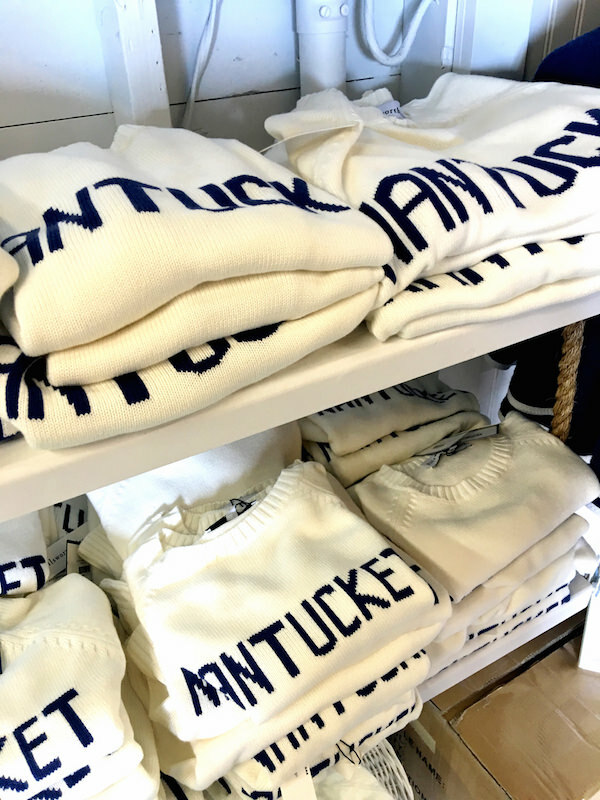 At the top of Old South Wharf is one of the new Nantucket retail hits of the season. and Sara Rossi’s Beau & Ro. 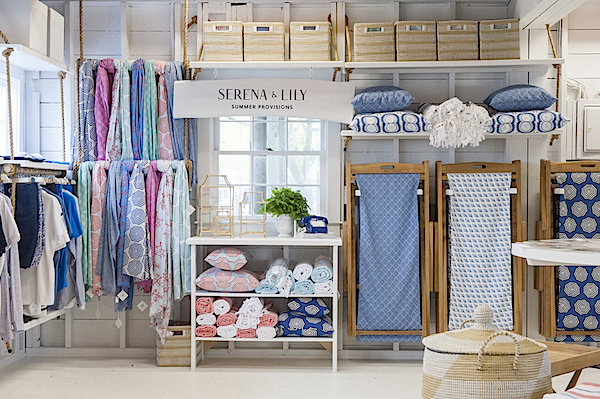 and home and a full schedule of trunk shows and events, it is a must-visit shopping destination to add to the list. 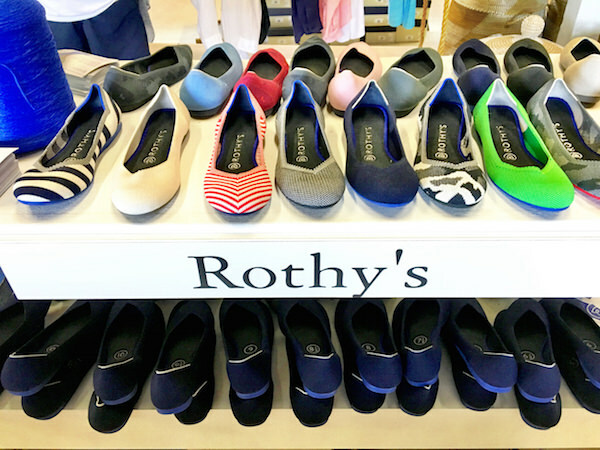 One of the most unusual brands is Rothy’s, shoes made with a seamless 3D knitting process from 100% recycled water bottles. 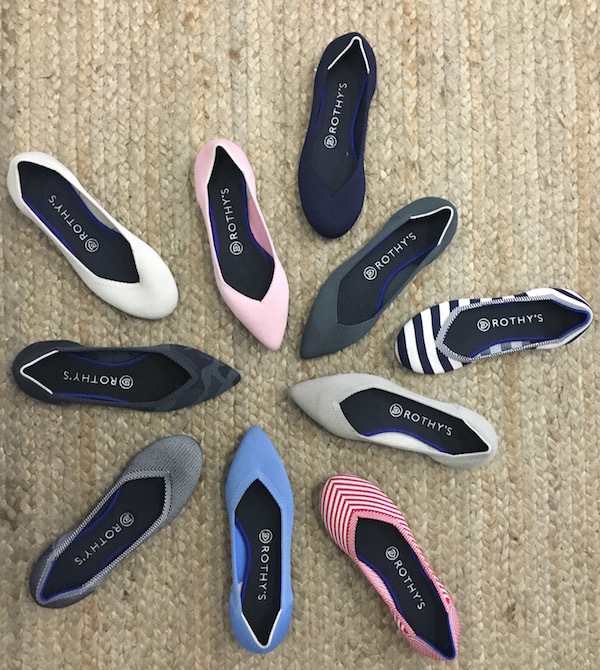 Remove the cushioned insole and they are completely machine washable. 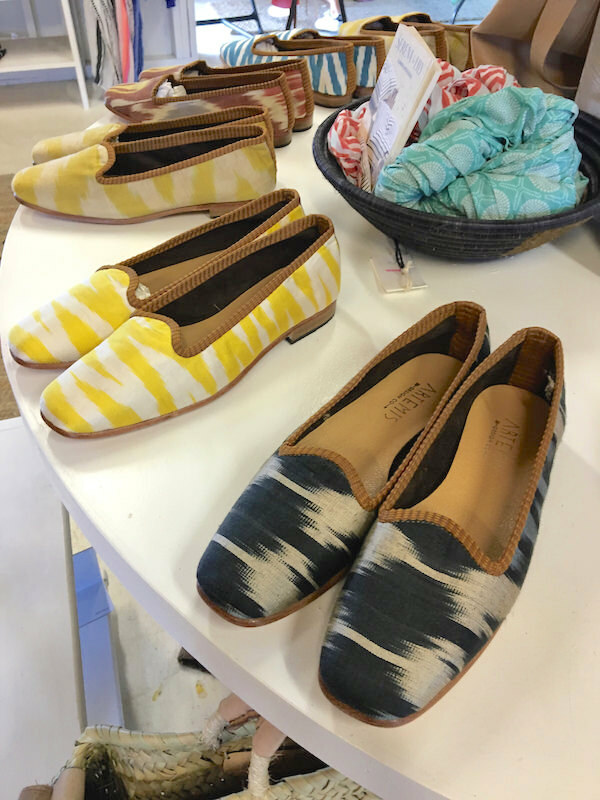 Available in a super comfy range of prints and solids in two styles, round or pointed, they are shoes that feel good for your feet and the environment. 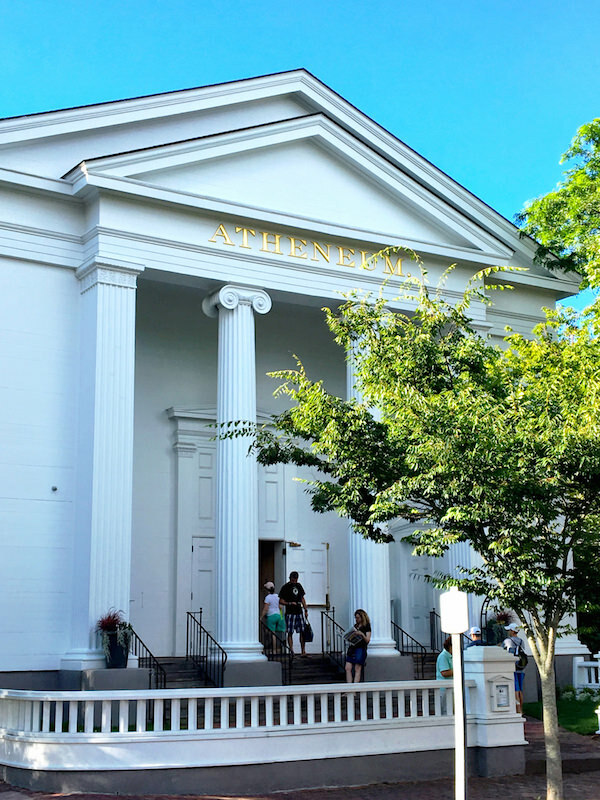 Lastly for this week’s Friday five is a favorite island institution, the Atheneum. 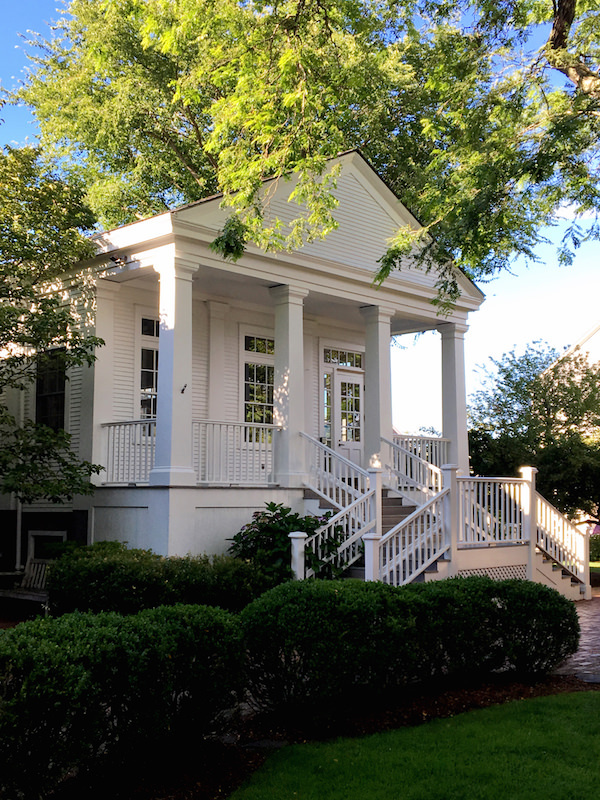 In the center of downtown is a majestic 1847 building that houses Nantucket’s free public library. The stately Greek Revival building, beautiful inside and out, not only contains an expansive collection of books, magazines, CD’s, DVD’s etc, but has a great schedule of events and programs for all ages. Throughout the centuries it has hosted outstanding speakers including Frederick Douglass, Ralph Waldo Emerson, and Henry David Thoreau. Attached next door is the charming Weezie Library for Children, above. 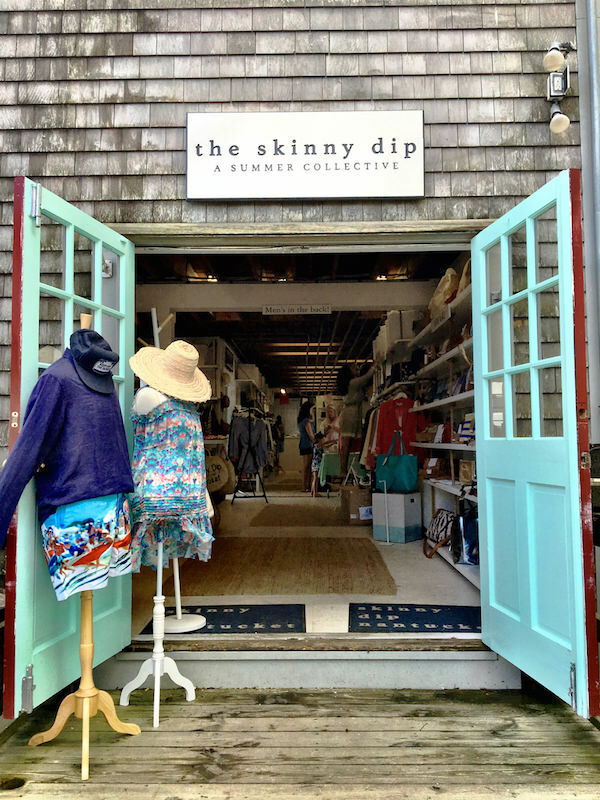 Built in 1996, it houses its own complete collection with a full agenda of pint sized events. A library card is free and valid for one year for visitors. Be sure to brings a photo I.D. when applying. This entry posted in art, food and drink, photography. 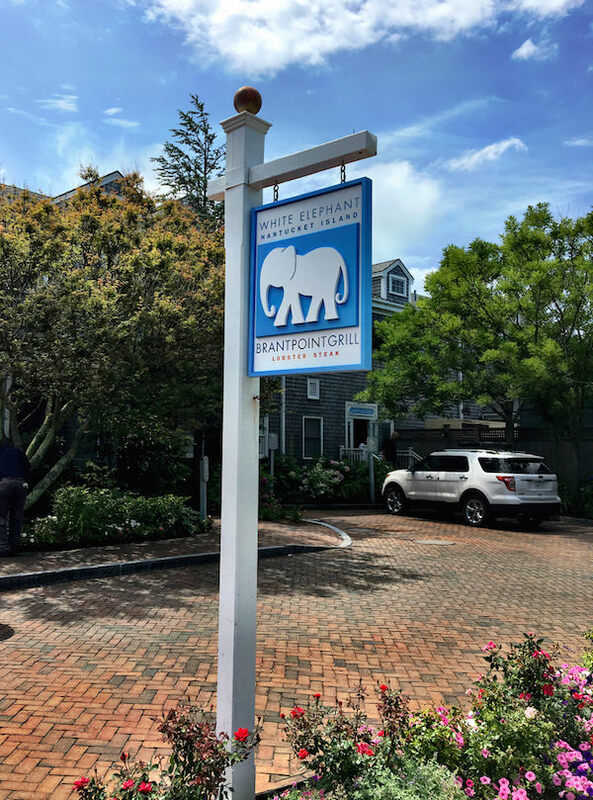 Entry Tags: art, Babar, Jean Pagliuso, Laurent de Brunhoff, Mary Ryan Gallery, Nantucket, Photography, Restaurants, The Brant Point Grill, The White Elephant Nantucket Bookmark the permalink. 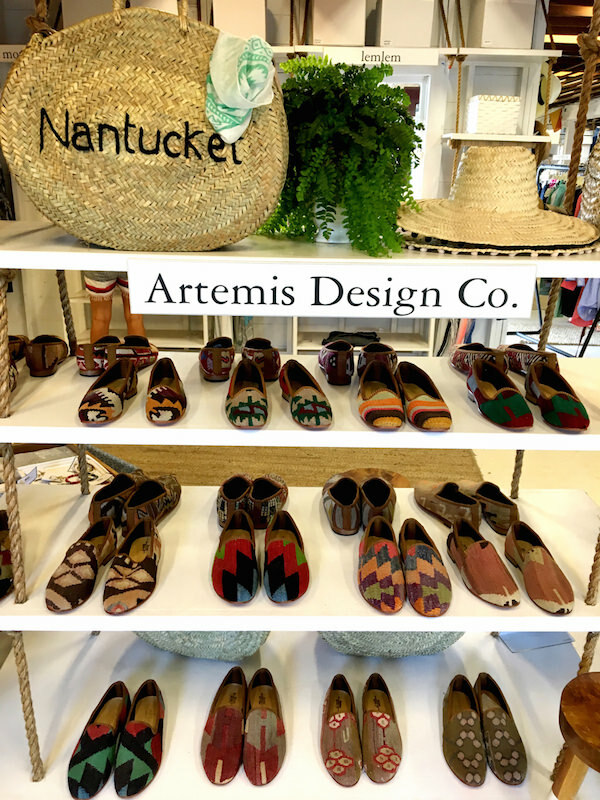 The Atheneum is truly the jewel in the crown of Nantucket offering not only an elegant, historic yet welcoming environment but presenting over 1000 programs a year for the public. It’s English as a second language program is outstanding, the Geshke lectures are always enlightening and very popular — there is something for everyone – all ages! Stacy, Thank you for the little visit to the island this morning—now I need another vacation. I think I may need a new pair of shoes too.